1. It’s quiet. 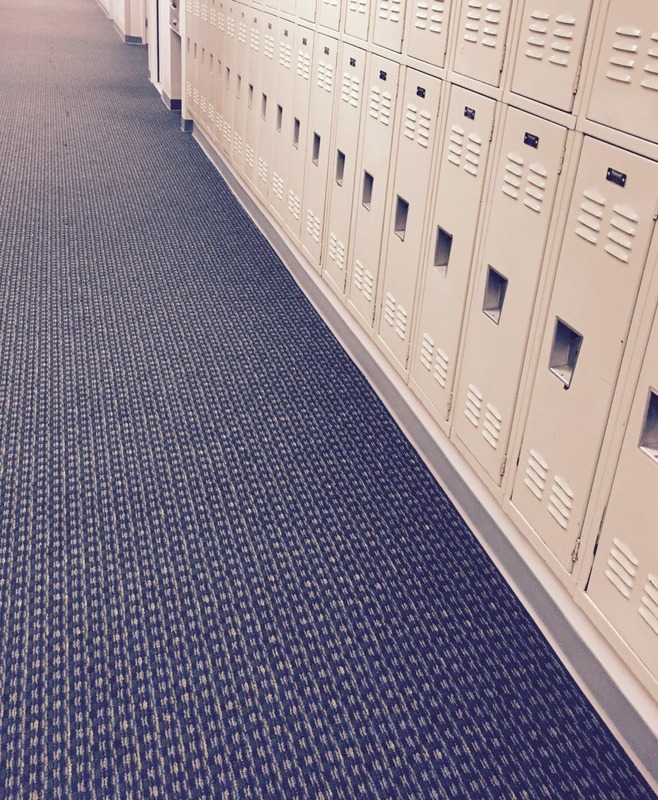 Carpet dampens noise which has a detrimental effect on the learning environment. 2. It’s healthy. Some types of carpeting are designed to trap allergens and small particulate matter. 3. It creates a softer gentler atmosphere. Because of the noise-dampening effect, carpeting, in general, creates a warmer atmosphere without the cold, hard edges of bare floors. Fortunately, we carry all the major brands of broadloom (roll) carpeting and carpet tiles. So, whatever you want or need, we have it. The advantage of roll carpeting over carpet tiles is that it has the slight edge with lasting a little longer and a bit more structural integrity because it’s all one piece. The disadvantage is that it’s usually somewhat more expensive than carpet tiles because there’s often some waste in whatever amount you purchase. Roll carpet is manufactured in fixed widths, and that’s why there’s usually some waste. The advantage of carpet tiles is that they are usually cheaper per square foot. Another advantage is that you can often have more design freedom because it’s easy to mix colors and patterns in the layout. 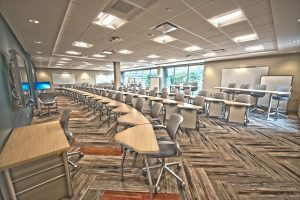 One quality about carpet tiles is both an advantage and a disadvantage. Because the tiles are individually laid out and installed separately, one at a time, it’s easy to replace one or more tiles that have become damaged. It’s much more difficult to patch and replace pieces of roll carpeting. However, the ease with which one can replace carpet tiles is the same reason why it doesn’t have the same structural integrity as roll carpeting. Every seam between tiles is a point of entry for potential damage—or vandalism in the case of academia.